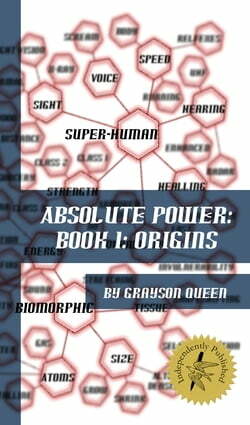 Everything changed the moment Super-humans became a reality; laws, politics, and society. They built the Office of New Entities to govern the Super-human population. But you can’t please all of the people all of the time. Norms afraid of Super-humans. Super-humans afraid of government. Government... read more afraid that they’re losing control. One side versus all sides.In any group, the further you look, the clearer the individuals become. They are children, men, woman, lovers, families, hopes, dreams, futures and pain. They are people torn apart by something they have no control over. And despite all that, there are some that choose to bear the burden of responsibility. They fight to protect those who can’t protect themselves.The legendary and invulnerable John Porter. Alien/human poster boy Robert Day. Abandoned telepath Shruti Pandey. First functional teleporter Eve Levitas. People with a past and future, all caught up in something bigger.They are heroes.And this is just the beginning.